Pristine Bang & Olufsen Signature Sound. Truly wireless in-ear headphones. These cord-free gem-like headphones are crafted with high-quality materials to fashionably fit your on-the-go lifestyle as well as your ears. Trending at $135.73eBay determines this price through a machine learned model of the product's sale prices within the last 90 days. Bang & Olufsen H7 Bluetooth Headphones. Shipped with USPS Priority Mail. All cords and bag come with the Headphones, batteries are not included, you can buy a battery for $12.99 at best buy. The headphones are in mint condition and work excellent. Please ask questions. Bang & Olufsen Signature Sound with Active Noise Cancelation (ANC). Connectivity Technology: Wireless. Bang & Olufsen Signature Sound with active noise cancelling (ANC). Beoplay H8 Wireless On-Ear Headphones with Active Noise Cancelling. Bang & Olufsen Beoplay E8 Premium Truly Wireless Bluetooth Black Earphones. These cord-free gem-like headphones are crafted with high-quality materials to fashionably fit your on-the-go lifestyle as well as your ears. Beoplay P2. Pre owned with minor dents and scuff marks on unit as shown in pictures. Beoplay s3 is an ultra and portable flexible Bluetooth speaker that fills your room with clean and natural sound. Change the speaker covers in a snap and make the appearance of the s3 match your style. Ultra flexible on ear wired headphone featuring the signature B&O accurate and precise superior sound. H2 is designed with 40MM neodymium drivers with bass ports housed w. On Ear Wired Headphone with Inline Microphones and Remote. 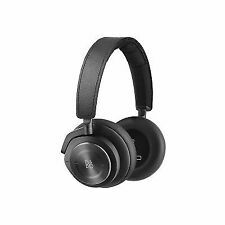 B&O Bang & Olufsen BeoPlay H9 Wireless Bluetooth Over-Ear Headphones - Black. Condition is Used in great working condition with exception of tiny hole in ear cushion (pictured). Shipped with USPS Priority Mail. This listing includes headphones only. Trending at $333.00eBay determines this price through a machine learned model of the product's sale prices within the last 90 days. Bang & Olufsen. For iOS & Android. In Ear Headphones. Condition: Excellent condition. Works great. Appears to not have been used much. Includes only what you see in the photos. We do the work. B&O PLAY E8 Wireless Earbuds. Shipped with USPS First Class Package. Trending at $162.88eBay determines this price through a machine learned model of the product's sale prices within the last 90 days. These Bang & Olufsen BeoPlay H5 are in very good used condition, showing only very minor signs of use. They even still have the tag on the cable! They sound amazing and work very well. COMES WITH HEADPHONES AND CHARGER ONLY. The pictures are of the actual B&O E8 In-Ear Headphones you'll be getting. To be clear: the color you'll be receiving is Charcoal Sand, which is basically grey with a hint of gold. They are NOT the black ones. Bang & Olufsen Beoplay P2 Portable Bluetooth Speaker with Built-In Microphone. Condition is Used. Shipped with USPS Priority Mail. Speaker has a small dent you can see in photos. Works perfectly! Open box never used in perfect condition Bang & Olufsen B&O BeoPlay E8 Pink Truly Wireless Earphones Earbuds Bluetooth. Shipped with USPS Priority Mail. 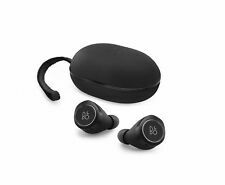 Bang & Olufsen Beoplay E8 2.0 Wireless Earbuds Earphones-BLACK. This is 2.0 version and latest version. This set has qi charging/wireless charging. These have amazing sound quality. I have tested on the latest iPhone and Samsung phone and it works well. Bang & Olufsen. Custom Bundle: No Type: Earbuds. Wireless Technology: Bluetooth. Features: Wireless Modified Item: No. new other open box. Read more Fit Design: In-Ear Only. Bang & Olufsen BeoPlay E8 Wireless In-Ear Headphones - Black. Shipped with USPS First Class Package. GREAT sounding unit. It was gently used as a back up unit. Valued at $250 when purchased..It has a ding on the side, not affecting the sound. Bang & Olufsen Beoplay H5 Bluetooth Headphones / Wireless Earphones - Black. New w/open box. These sleek in-ear headphones are a truly wireless way to listen to music and take calls without getting in the way of your busy, active lifestyle. Equipped with Bang & Olufsen Signature Sound, these unobtrusive in-ear headphones don’t compromise on sound quality for wireless convenience. • Connectivity technology : Bluetooth. The indicator starts flashing blue and a sound prompt is heard. Turn on Bluetooth on your device and select Beoplay E8. HD QUALITY SOUND FROM BANG AND OLUFSEN. ITEM IS SEALED IN THE BOX. For sale are my Bang & Olufsen Beoplay E6 in-Ear Wireless Earphones - Sand color. The item is in perfect condition and works flawlessly. These are stunning wireless headphones that perform beautifully. A Bang & Olufsen H4 Wireless Over The Ear Headphones. Condition is Seller refurbished. Shipped with USPS Priority Mail. The item(s) listed for sale are new and unused. We are always more than happy to help or make any issue correct. NEW OPEN BOX. The headphones are still sealed in the box and have never been opened. B&O PLAY by Bang & Olufsen Beoplay H8i Wireless Bluetooth On-Ear Headphones with Active Noise Cancellation (ANC), Transparency mode and Microphone Black. An improved range of over 100 feet lets you seamlessly stream your music from a greater distance. Bang & Olufsen Beoplay E8 Premium Truly Wireless Bluetooth Earphones - Black. Sound is transmitted between the earbuds via a magnetic field for zero dropouts. Bang & Olufsen Beoplay H2 On Ear Headphones - Carbon Blue "NEW"
BeoPlay H2 is tuned for life on the move. Bang & Olufsen Sound. Beoplay H7 wireless headphones give you the freedom to enjoy Bang & Olufsen’s Signature Sound on the go. Beoplay H7 Wireless Over-Ear Headphones. Wireless Bang & Olufsen Signature Sound; Bluetooth 4.2 with aptX and AAC codecs. Bang & Olufsen 1644126 Beoplay E8 Premium Truly Wireless Bluetooth Earphones. These cord-free gem-like headphones are crafted with high-quality materials to fashionably fit your on-the-go lifestyle as well as your ears. 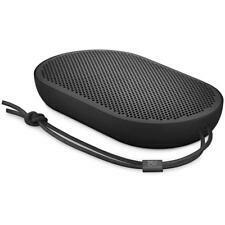 Bang & Olufsen Beoplay P2 Portable Bluetooth Speaker. Condition is New. Shipped with USPS Priority Mail. Bang & Olufsen Beoplay P2 Portable Bluetooth Speaker Limited David Lynch Edition. Condition is New and sealed. Shipped with USPS Priority Mail. 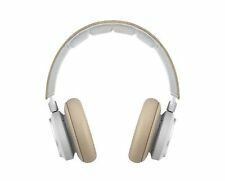 Bang & Olufsen H3 Headphones - Silver. Condition is New. Shipped with USPS First Class Package. Connectivity technology : Bluetooth. Pairing - Keep a distance of less than 20 cm between the left and right earphones, touch and hold both for 5 seconds to initiate Bluetooth pairing. The indicator starts flashing blue and a sound prompt is heard.